Podcasts give your audience the thing they desire most: time. Podcasting allows your audience to listen on their own time, passively, while they walk on the dog or drive to work. 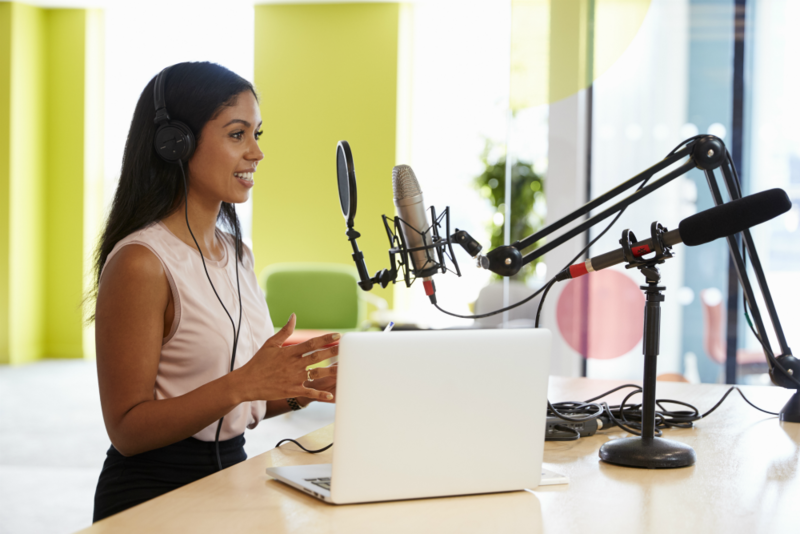 Podcasting offers your brand the ability to reach new audiences, enhance credibility, and establish an industry leadership position. The best part? It doesn’t require a large investment of time and/or money. We often get a lot of the same questions when we talk to brands and individuals looking to get started with their podcast. How often should I publish an episode? Short answer: as often as you can. A podcaster recently asked if he might be podcasting too much. I told him he couldn’t produce enough episodes today to even be concerned about that. If you’re creating quality podcast content, then there’s never too much. Your initial goal depends on your resources and your format. If you want to conduct long-form interviews or do a mini-documentary each episode, you’re initial goal may be once a month. If you want to provide a five minute inspiration or meditation, once a day may not be a big challenge. Long enough to cover the topic and short enough to keep it interesting. There are no hard-fast rules for podcast length. Some of your audience may be listening on a cross-country flight. Others may be listening while they clean the house. Our one recommendation would be to keep it consistent. If your episodes are typically 30 minutes, try to keep them all 30 minutes. It gives your audience some the ability to plan their listening habits. If the first ten episodes are two hours long, your audience will probably be disappointed if your 11th is only 40 minutes. Yes. If you’re going to take the time an energy to create a podcast series, spend a little extra to capture the video. It will open up a new segment of your audience through YouTube and social media. Taking short video clips from the episode and using them as teasers on Facebook, Instagram, and Twitter can generate buzz and give your audience an idea of what to expect from your podcast. The audio file should go to a hosting site like SoundCloud or SimpleCast. From there you can share to anywhere you’re audience listens. iTunes, Spotify, and Google Play are three of the most popular, but there are others as well. A link from your hosting site can be embedded on a landing page or blog so your audience can listen or download directly from your website. Recording can be done from almost anywhere. All you need is a quiet space and a quality microphone. If you’re creating a video file or if you have a guest, a studio environment would be preferable, but recording can be as simple as sitting in your car and talking into your phone. A guest interview is the easiest way to create a podcast. You don’t have to write a script. You don’t have to memorize anything. You only need to prepare a few questions to spark a conversation. Depending on how familiar you are with the guest, you’ll need to do some research on your guest’s work, expertise, and comfortable topics. From there, let the conversation go where it wants to go. Try to choose a guest who relates in some way to the theme of your show. If you can get an influential guest to sit down with you, you can leverage their audience and reach new people. When you publish the episode, ask the guest if they would be willing to share it with their audience on social media. The only challenge in this scenario is scheduling. Your first choice for time will not likely be the guest’s, so invite multiple guests to appear in various time slots, knowing that not all of them will be filled. How do I promote the podcast? We mentioned social media before, but there are other ways to promote your podcast – none of them are reinventing the wheel. Send an email to your contact list. Add your podcast to your blog. Ask your guest to share the link. Ask for reviews on iTunes and Google play.